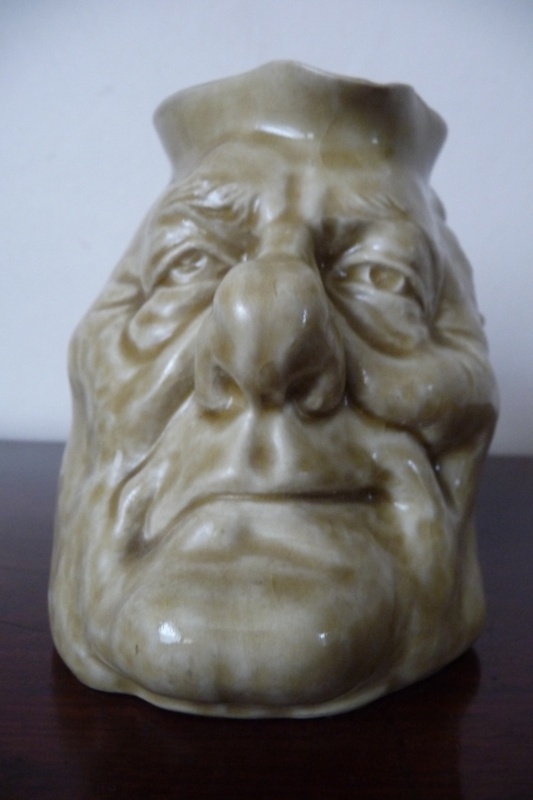 Have read that the Rob Muldoon Jug was made by Peter Lange. But can not confirm this. Does anyone know who did make it? 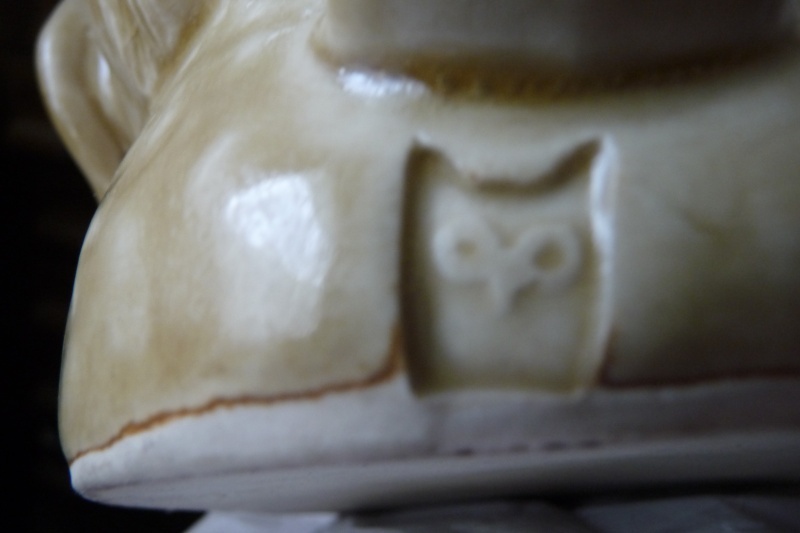 It took a while to find, but I remember this being identified as made by a Nelson potter Robert Wallace. You still need to click onto the little triangle at the end and click on the cached to see the auction. also on this blog about three quarters the way down the page it describes the Nelson potter firing these .. However this still needs to be confirmed as I saw the Te Papa post saying these were made by Peter Lange when I was looking for the maker. It's great to see the old blighter on here thanks sid and in the meantime until otherwise updated I will add the mark as Robert Wallace. 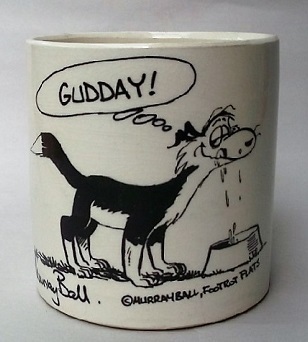 I love this old mug, as I have one by the same potter myself! Apparently, the original was made by Peter Lange during the Muldoon era. Then the Nelson made ones emerged. 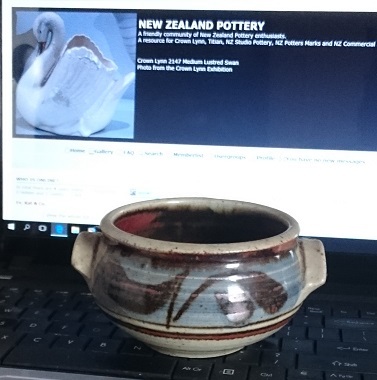 Now I have seen 2 others a while ago, both made by other potters, and the man in the antique shop told me that they too were made by a Nelson potter, but they weren't up to the standard of this one (and they weren't! They were lighter, smaller, and unmarked). On my recent trip to Christchurch, the shop I stopped at had 2 as well. Both inferior quality to Sids, and unmarked, and I would say, by the same potter as the other 2 I have seen. I would almost go so far as to say that they were perhaps hobby ceramics. I had been looking for some time for one made by Peter Lange, but as one had never emerged, (besides one I saw a long time ago on TM, that went for an outrageous amount), I decided to purchase the one by Robert Wallace. 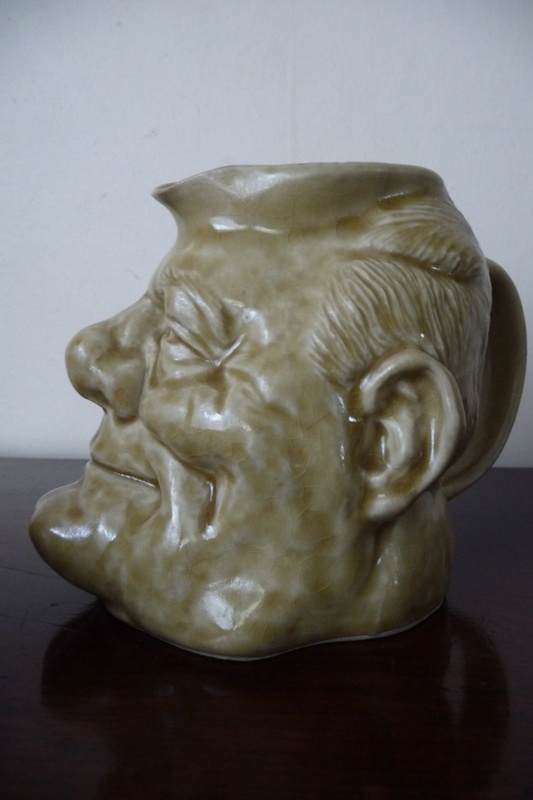 Well done Sid, I love my double faced jug, it reminds me of my youth! Thanks for your help Ev and Mumof1. Would love to see the original by Peter Lange. As you have noted is still a great piece to have in your collection. 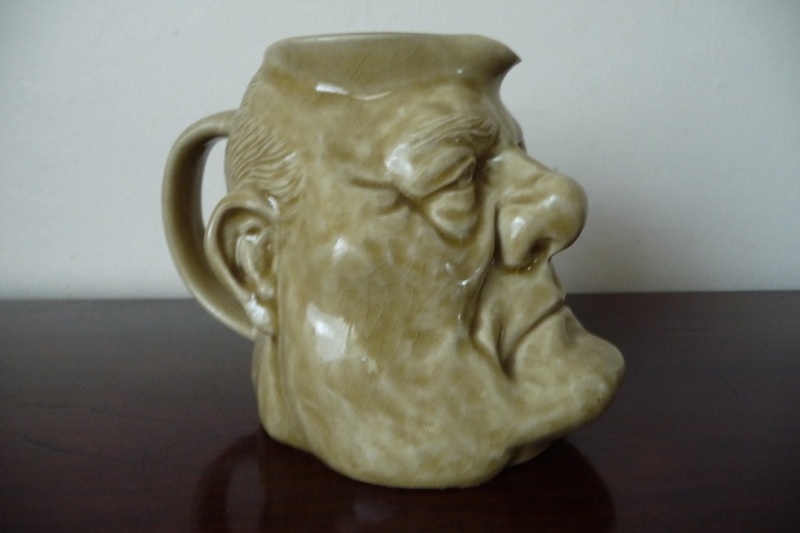 I emailed Peter Lange to ask if he made the original Muldoon jug and he replied saying that he has been asked this before, but no he never made the jug. He added that he did make about 6 Muldoon tiles once with cartoonist Les Gibbard, but only for family members. How does one correct Te Papa I wonder? So, these ones that we have could be the originals????? even better! Here is my one. Sid, is yours a pale avocado overglaze or honey like mine? These don't show up very often on Trade Me, but one has been listed as perhaps Crown Lynn with a Peter Lange mention ..... ?? Fantastic thanks Timmo as this is one of those mysteries that has now been sewn up thanks to you. Haven't seen any other work by Robert, so thanks for giving us some idea with your avatar. Looks like a very proficient potter indeed and appears to be heavily influenced by the great Mirek Smisek. 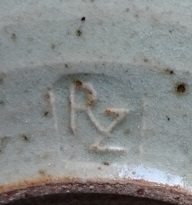 How weird that today I was looking at a ramekin in my stash that has RZ as the mark. Can you tell me if it is Robert and Zoe's mark please? Hi Ev , yes that's it. You will find some Japanese inspired work by him. i have a teapot which I thought was Mireks but has the RZ. They were all getting the influence from Hamada and his visit here.